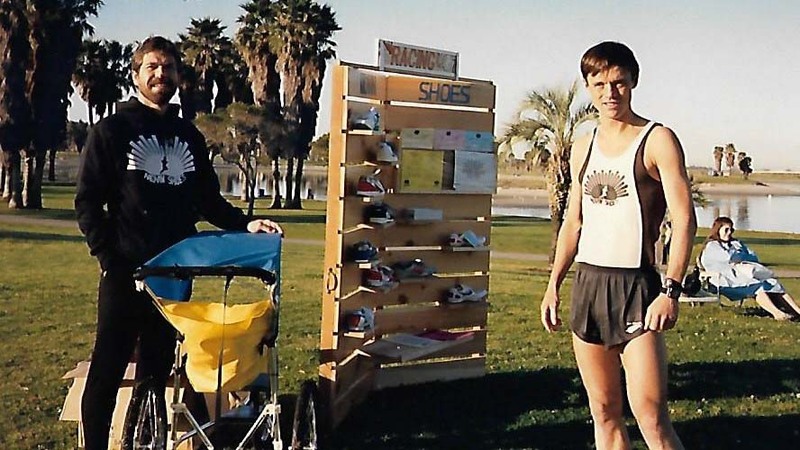 Jarl Blintz was a play on Movin Shoes co-owner Carl Brandt, but the Onion-style post was in character for an operation that grew to four stores and became synonymous with San Diego’s running boom. Now the business has gone bust. 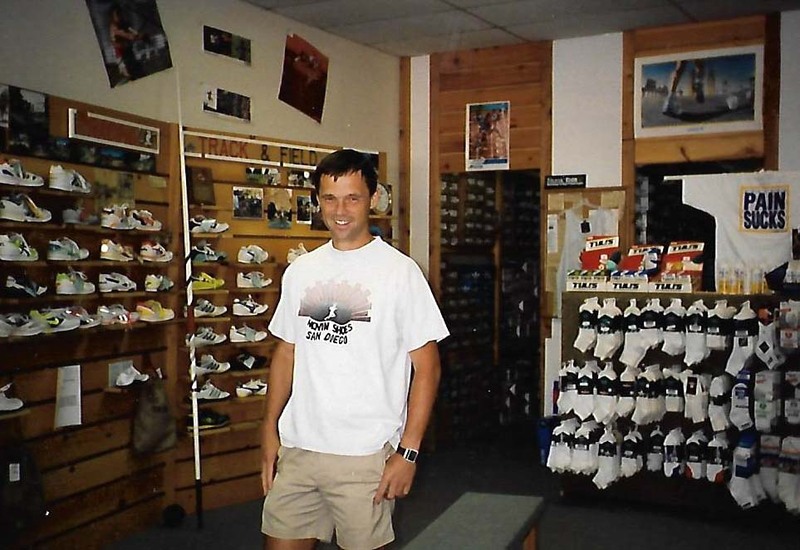 Bob Kennedy, the two-time Olympian and former 5,000-meter American record-holder who bought the operation in 2013, has closed Movin Shoes’ last two stores. The Encinitas shop was shuttered Aug. 19 and Pacific Beach last Sunday. Kennedy didn’t respond to numerous requests for comment. The Boston Marathon winner called the move a “big loss” for San Diego’s running community. 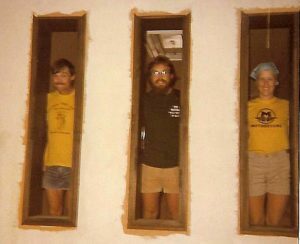 Movin Shoes was inspired by a store of the same name in Madison, Wisconsin, which opened in 1973 after Frank Shorter’s victory in the 1972 Munich Olympic marathon. Herb Kimpel helped start the namesake store. 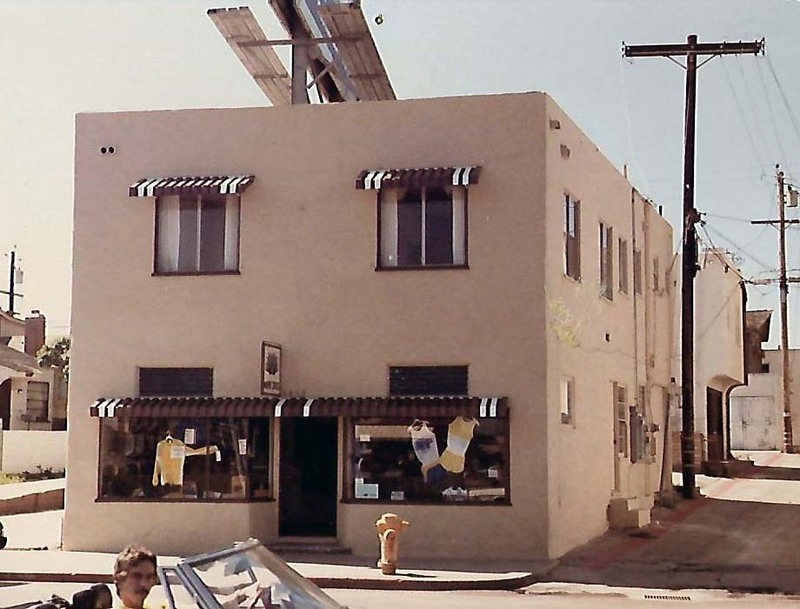 In 1978, a year after Brandt and Vandertie started their original store in Mission Beach, Kimpel himself moved to San Diego, even helping staff the La Mesa shop in 2011-2013 while winding up his career as a real-estate appraiser. 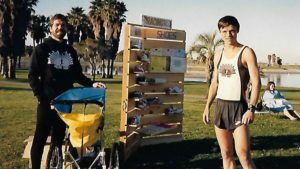 Greer, the San Diego Track Club coach, cheered Movin Shoes for sponsoring or putting on events in all facets of the sport — road running (weekly runs from all stores like the La Mesa “Whine at 9” and Black Mountain “nightmare races”), cross country (sponsoring the USATF Dirt Dog series for many years) and track and field (hosting low-cost all-comers meets for many years). The pair (also Wisconsin natives) were a presence at San Diego CIF track meets, selling individual shoe spikes to high school athletes who “desperately needed them before their championship races,” Greer said. 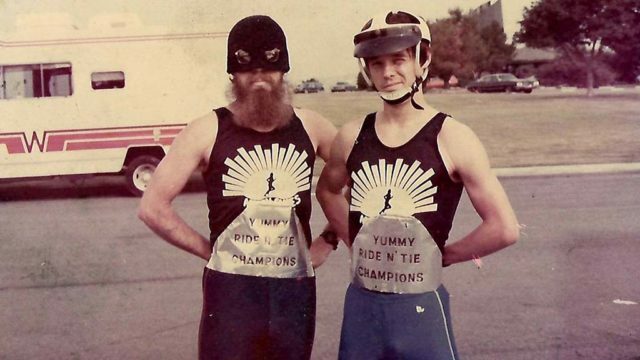 In fact, catering to high school runners was their bread-and-butter. And almost their undoing. 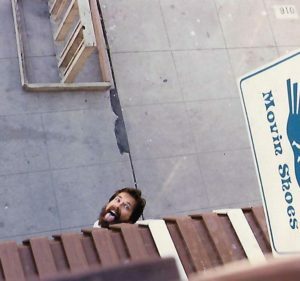 In 1977, San Diego’s Movin Shoes sold Nikes exclusively — getting shipments from the Wisconsin Movin Shoes. But ignoring the “suggested retail price,” Brandt and Vandertie undersold West Coast distributors of Phil Knight’s hot-selling running shoes. With Vandertie test-driving new shoes, the business became famous for being “fussy about the fit.” Customers embraced the personal attention. 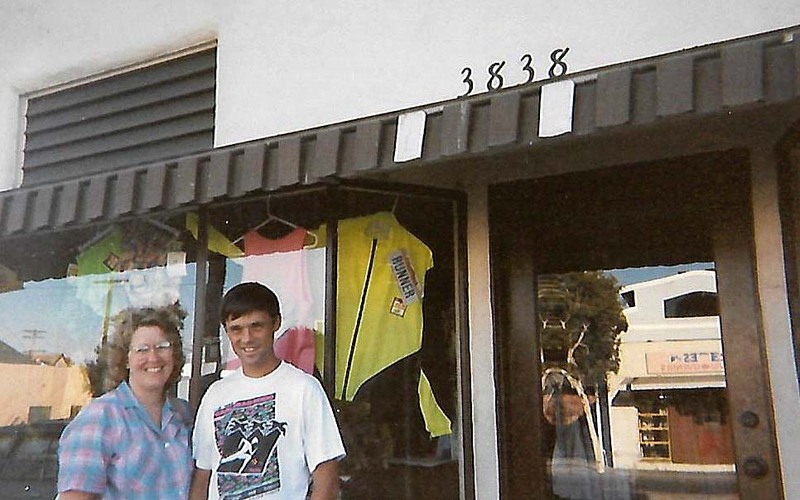 The stores — eventually comprising Pacific Beach, Encinitas, La Mesa and briefly Rancho Peñasquitos — became mini-museums to local and even world running, with autographed shirts and shoes displayed on the walls. They had a blog. But the funky feel began to change with the Kennedy sale in March 2013. Gone were the memorabilia, for instance. 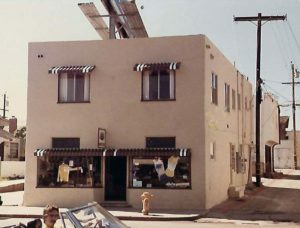 “It became a very corporate, vanilla-looking store,” Brandt said of Pacific Beach, using a phrase he said others used. Kimpel, of the original Madison Movin Shoes, noted the onset of online shoe buying. Babbitt said Movin Shoes under Kennedy — who also ran his own chain of running stores in Indiana — lost touch with the local running community. 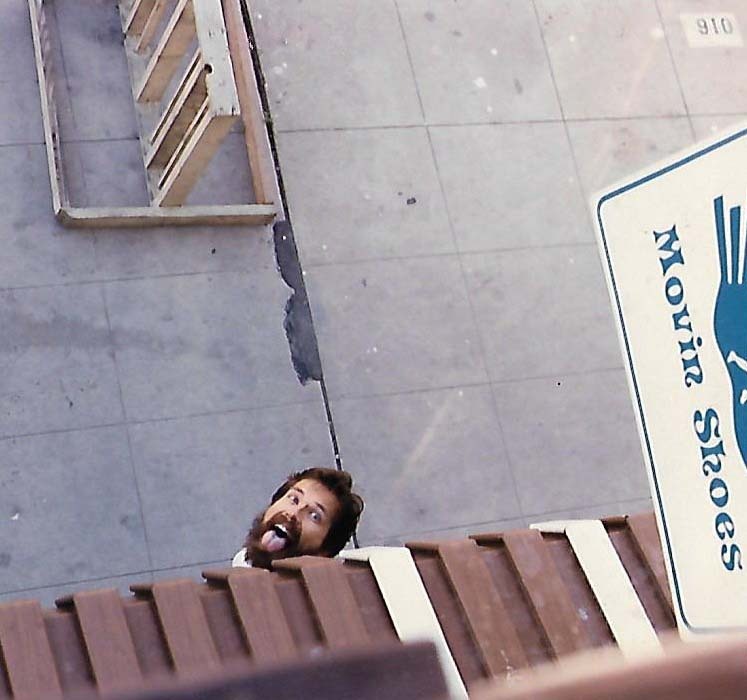 Greg Lemon, co-owner of Milestone Running in North Park, said he’ll resurrect Movin Shoes’ ambience when he takes over the lease of the Garnet Avenue store. Originally planning to add a downtown location, Lemon said he and partner Chad Crawford decided to reach out to Kennedy about a month ago, having heard that he was looking to quit. What will the PB store look like? Lemon said it would convey an “urban feel with more of a beach house — without a doubt Pacific Beach.” But the original occupant will be resurrected. Milestone will continue the tradition of Monday night and Mount Soledad runs — again organized by a former Movin Shoes staffer. Five ex-employees of Movin Shoes will work the PB location, scheduled to open Tuesday. Anzures, the local USATF association president, recalls the “down-to-earth vibe” of the Movin Shoes stores when he visited in high school. 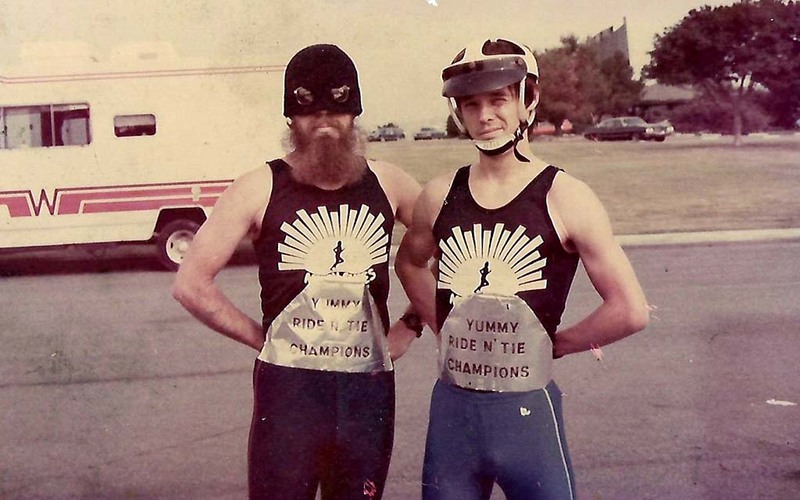 “As a young runner, I never felt intimidated to ask questions and I was actually surprised when the employees, especially owner Carl Brandt, knew who I was and could recall all major high school running results,” he said. He said they would be missed but was happy to see that Milestone, “a respected local running store,” will pick up where Movin Shoes left off. Vandertie and Brandt shared their reactions to the closing. Brandt’s emotions are “multifold and complex,” he said. Brandt said he decided to sell to Kennedy’s group 5 1/2 years ago in the wake of his wife’s death. Sue Brandt had breast cancer that spread to the liver. “So all this other stuff, including me being told at the end of last year that I have prostate cancer — that’s a piece of cake compared with watching the person you love die in your arms,” he said. He boasts of his sons — Noah, nearly 28, who works at a Castro Valley hospital near Oakland, and Peter, 25, a park ranger moving soon to Big Sur.